Nichol is speaking up just days before Watts’ sentencing for murdering his pregnant wife Shanann and their daughters Bella, 4, and Celeste, 3. Nichol said she thought Watts, 33, was divorced because he didn’t wear a wedding ring around her. 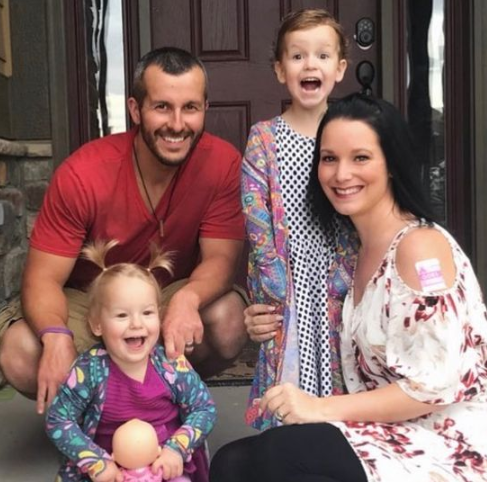 She said Watts appeared to be a doting father but he turned out to be a serial liar who didn’t wear a wedding ring and claimed he and Shanann had separated and were going through a divorce. He’s a liar. He lied about everything. Ms Kessinger didn’t know the truth about Watts’ marriage until the mother and her girls vanished. She said that when she tried to talk to him about their disappearance, he tried to change the subject, and the following day, on August 14, she pushed him to tell her what he had done, but he insisted he would never hurt his family. Ms Kessinger said she told Watts she didn’t want to speak to him and continued to watch the news before going to detectives and the FBI to tell them about the affair.